Is a Low Aussie Dollar Good Or Bad For Property? The Aussie dollar has fallen over the past year and the RBA wants it to fall further. 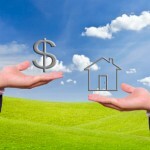 Is this good or bad for our economy, for home owners and for property investors? In an interview with the Australian Financial Review last week, Reserve Bank Governor Glenn Stevens suggested the Australian dollar might fall to US75 cents in 2015. And he intimated that it wouldn’t be a bad thing. A lower exchange rate makes our exports cheaper for the foreigners who buy them, and that increases their demand for our exports. Good news for natural resource exporters (iron ore and coal are our top two exports) and even universities: education is Australia’s third largest export, at more than A$15 billion in 2013. Because labour is paid in Australian dollars, an exchange rate-depreciation should increase revenues, but not costs per unit of output — so profit goes up. It is this effect that people — Stevens included — typically highlight as a positive of a lower exchange rate in a small open economy such as Australia. What is all too often forgotten — or at least glossed over — is the impact on imports. An exchange rate depreciation makes them more expensive. “Foreign goodies”? Goodbye Aspen, hello Thredbo. No big deal? Actually, it may be a much bigger deal than Stevens seems to think. No, the Aspen ski trip-effect is not the issue. It’s the fact that we import a lot of high cost consumer durables and business inputs. When the price of durables, like flat-screen televisions and computers goes up, and there are no close domestic substitutes, people delay their purchases. This makes consumers worse off than they would have been, but it also imposes a big hit on the retail sector. This might all seem like esoteric stuff: so you get a fridge with an internet connection a few years later than you otherwise would. But consumer confidence is incredibly important precisely because of the negative feedback loop that ensues when it falls. That is why Joe Hockey is constantly at pains to emphasise that Australian consumers should be confident. Even Stevens highlights the importance of consumer confidence on a regular basis. The impact on business inputs is also important. A rise in the cost of inputs is a direct hit on the competitiveness of our exporters. And when the final goods are sold domestically the input price hit eventually translates into higher prices, also hurting consumers. Surprisingly direct for a central banker. The markets seemed to think so. The probability of a rate cut in February fell from 40% to 16% after the interview. The chances in March fell from 70% to 50%. Mr Stevens is plainly trying to manage many different things: inflation, economic growth, housing prices, and the Australian dollar. And he’s only got one tool at his disposal: the cash rate. Given low inflationary pressures because of constrained wage growth, a housing market that seems to be cooling, and economic growth still under threat, a rate cut (or two) seemed plausible. With Stevens’s desire to see a lower dollar —something a rate cut encourages — cuts seemed highly likely. But with the dollar falling because of the plunging iron ore price, maybe not so much. Conventional wisdom is that a lower Aussie dollar is good news for exporters. It is. But it’s bad news for consumers and business that source inputs from abroad. And, it seems, it’s bad news for home owners and businesses that borrow. Because Stevens seems much less likely to cut rates in the face of a falling dollar. It appears that as far as personal foreign investment on Australian residential market is concerned, I believe lower Australian dollar would put further pressure to increase the value of residential properties particularly in our major capital cities and makes it that much out of reach for first home buyers.